KfW has marked the World Water Day with a repory highlighting #Yemen's case and #SFDYemen's differently sustainable solution in the rural and urban areas. 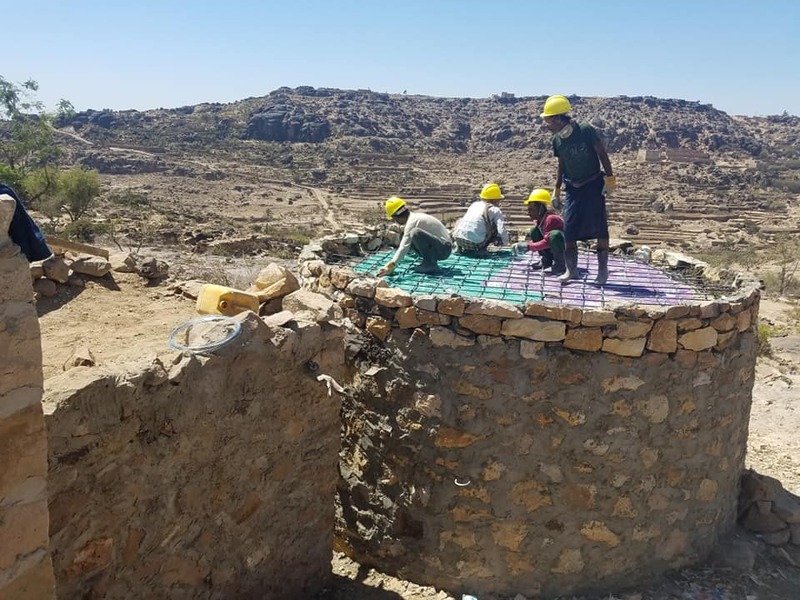 Below is a translation of the parts of the report pertaining to Yemen: "Leaving no one behind - water and sanitation for all" Drinking water reservoir You benefit from the newly built drinking water reservoir where water is collected during the rainy season. The World Water Day 2019 of the United Nations is being marked under the motto "Leaving no one behind - water and sanitation for all". Because more than two billion people worldwide have no permanent access to clean drinking water. Even in Europe, millions of homes lack access to the municipal water network. Those who are already discriminated against are particularly affected, according to the new UN World Water Report: People who are disadvantaged because of their gender, age, socioeconomic status or their ethnic, religious and linguistic identity are less likely to have access to clean water and sanitation than other. More than half of the world's population can not use safe and private sanitary facilities. For refugees, the situation is grim: In refugee camps, the water supply is often alarming, according to the UN World Water Report. In warlike conflicts the infrastructure - water pipes, sewage treatment plants, etc. -are often destroyed. The reconstruction takes time, money and above all stability. Water storage tank in Yemen Half the world's population with inadequate access to safe drinking water lives in Africa, according to the UN report. Only 24 percent of the population in sub-Saharan Africa has access to safe drinking water. Only 28 percent use sanitation that they do not have to share with other households. Differences also appeared between poor and rich, between city and countryside. Slum dwellers often pay ten to twenty times as much for water as residents of wealthy neighborhoods and often receive poor quality water. City dwellers are usually better off than inhabitants of rural regions. With its ongoing water projects, KfW reaches 416 million people, who benefit from good water quality, increased water safety, more efficient resource allocation and improved access to drinking water and sanitary facilities through the SFD's Water and Environment Program. This film is a production of the project sponsor SFD Among two examples of the commitment of KfW Entwicklungsbank in the water sector Yemen is one of the least developed countries in the world.